Donkey Kong would go bananas for this theme! The founders of Organic Themes have a long history with video games. 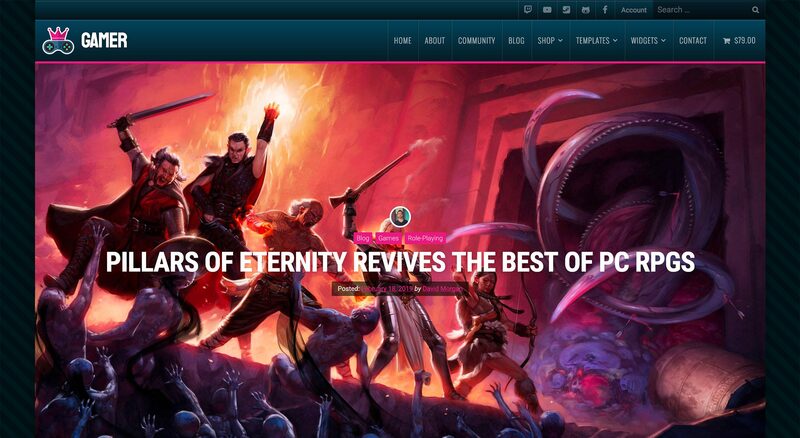 So, it’s about time we released a WordPress theme for the gaming community. The Gamer Theme is designed to appeal to gamers and game developers alike. In high school, Jeff and I played Warcraft II over a 56k modem, and GoldenEye: 007 on a Nintendo 64 among friends (Proximity mines only, of course). In college, our roommates and us had many intense gaming nights gathered around the GameCube playing Mario Kart. We even built our theme business in-between Starcraft II breaks. These days, we play the indie strategy game Northgard long-distance to end the work week. Gaming is an important part of our work and lives. At its best, gaming inspires healthy competition, team work, creativity, curiosity, and strategic thinking. Additionally, it keeps our long standing friendship from being fully consumed by operating a business together. The Gamer Theme is the culmination of all our years of gaming and developing WordPress themes combined. The demo is an homage to many of our favorite games — old and new. In most cases, we take a minimal approach when it comes to theme design. However, that wasn’t the right way to approach the Gamer Theme. We felt it was important that the theme design reflected a style similar to a game interface. As a result, the design is sleek, futuristic, and techy. Customize colors while keeping design effects. While the Gamer Theme design does have a lot of detail, it’s important to note that the effects were all accomplished using CSS. As a result, customization is easy. Additionally, several color options exist within the WordPress Customizer for personalizing the theme appearance. An integral part of gaming is communication. If you’re creating a site for your gaming guild, you need a central hub to communicate with your members. If you’re releasing an indie game on a marketplace like Steam, it’s good to have a location for discussing support and/or strategies. 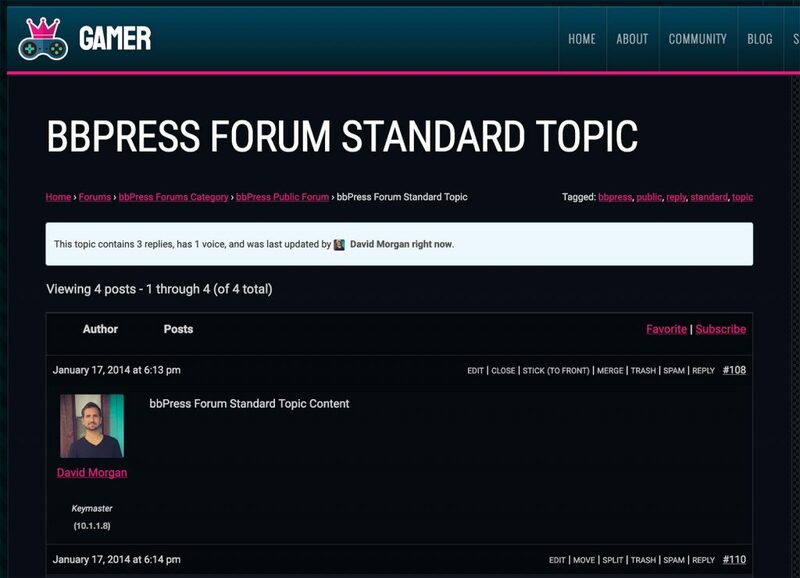 As a result, we integrated bbPress forum compatibility with the Gamer Theme. bbPress forums are added to the Community page demo. bbPress is a free forum plugin maintained by the WordPress community. It’s an excellent solution for adding community forums to your WordPress gaming theme. However, the default styles and forum appearance can be less than perfect with many themes. So, we took extra care to make sure the plugin looks great with the Gamer Theme. If you develop games, you probably want to sell them. 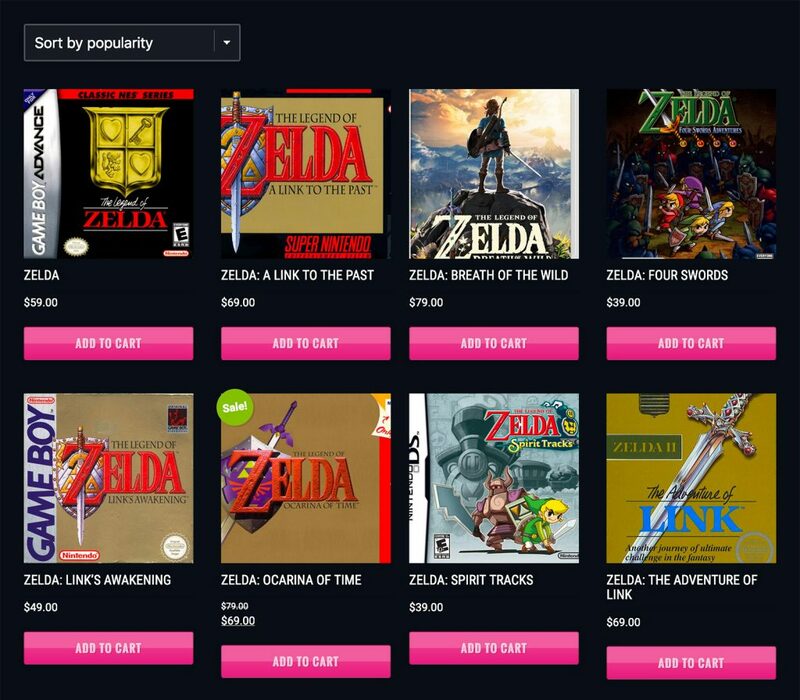 There are a number of marketplaces available for selling games. However, there’s only one way to capture the full value of a sale — on your website. The Gamer Theme is designed to work with the popular eCommerce plugins, WooCommerce and Easy Digital Downloads. As a result, listing and selling your games, expansion packs, mods, and media is simple. The Gamer Theme home page design was created entirely using the Builder Widgets Pro plugin. The plugin is a requirement for building your home page exactly as it appears in the demo. However, it also provides a great deal of flexibility when it comes to adding or removing page section. Builder Widgets Pro includes 16 custom widgets. Each widget adds a dynamic content section on any page. Plus, it’s all accomplished directly within the WordPress Customizer. So, you can see the changes to your website design take place in real-time. Use Builder Widgets to create a custom page design. The plugin includes widgets for adding slideshows, portfolios, events, team members, and much more. It’s an excellent solution for quickly building custom layouts and page sections in an intuitive way. The Gamer Theme is developed to the highest WordPress theme standards. It features a fully responsive framework, and it’s optimized for the WordPress 5 Gutenberg block editor. Additionally, all the latest WordPress functionality like custom logos and video headers are included with the Gamer Theme. When it comes to WordPress gaming themes, the Gamer Theme is l33t.